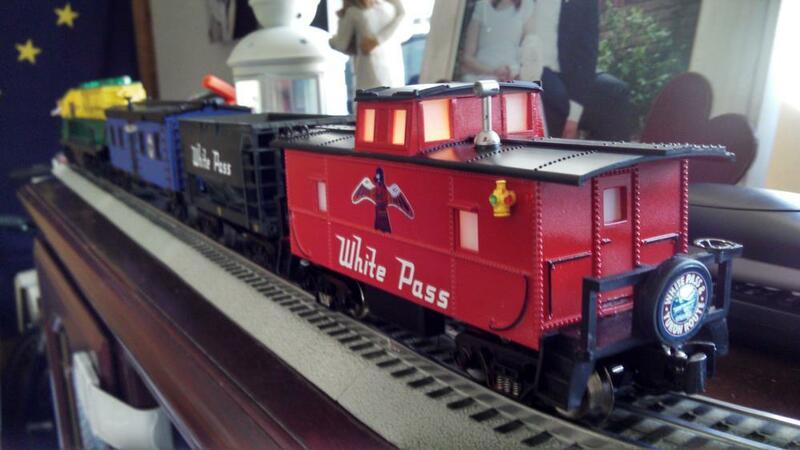 I do not hide my love of the White Pass railroad. 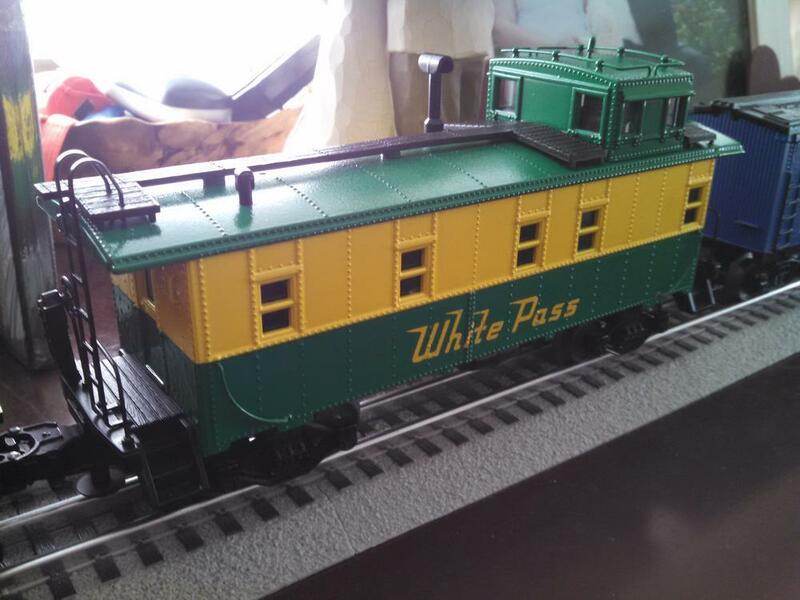 I like to customize O-Gauge rolling stock to make my own White Pass O-Gauge version of this narrow gauge railroad. My plan is to take a WBB 4-6-0 steam engine and turn it into this White Pass #67 engine. My plan is to purchase this engine, put new decals on it and upgrade it with an ERR commander board, railsounds and a super chuffer probably. 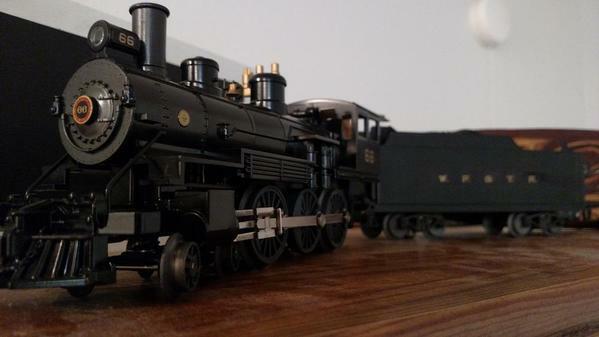 I like the older styling of this compared to Lionel and MTH. It also more closely matches the white pass engine (I know, its not narrow gauge, but I don't really care). Does anyone have any tips or advice on doing these upgrades with this engine? Too bad the trip on this road this last summer did not go all the way up the WP&Y to Dawson, from Skagway. I would suspect there are a number of models in On3, HOn3, and On30 that you can study to arrive at an accurate, except for guage, model loco. This You Tube video is about the restoration of No. 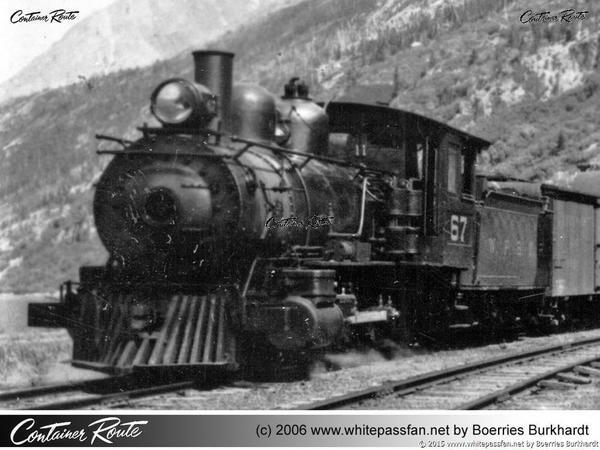 19, originally a Sumpter Valley engine that spent a good part of its life on the White Pass & Yukon. I know that Dollywood has in its possession 2 intact mikes, and pieces of 2 others, from the WP&Y. Maebbe contacting them could give you an idea as well, as to what these engines would have looked like. The Local O Gauge Nut, confined to the attic of the insane asylum known as the family home. Gee, and places like Dollywood (Pigeon Forge/Gatlinburg in the Smokies, Tenn.) are just the kind I avoid. Might have to make an exception. I believe that they are 70-73. Most of the WP&Y steam locomotives are in the lower 48. 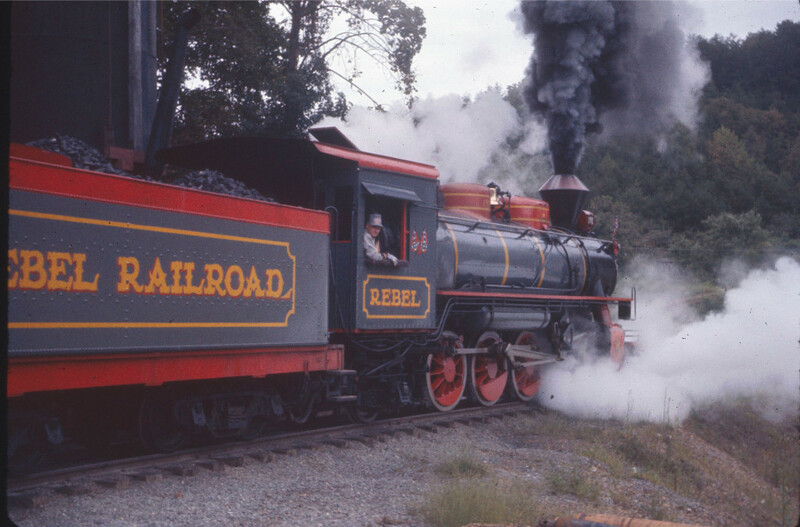 I know all of Dollywood's locomotives are former WP (some are former Army ones from WW2), Tweetsie has one as well. I think there was one running in the Midwest as well but it's location escapes me right now. I've gotten cab rides at Tweetsie and Dollywood on former WP&Y power. As for the current RR, I've never seen 69 in steam but I have seen 73 twice. 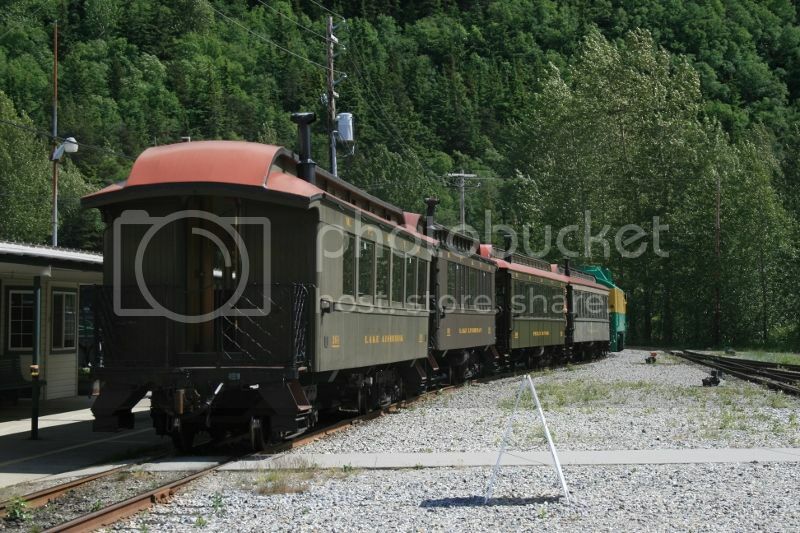 My wife and I took a cruise to Skagway in May of last year and of course that day was all about the trains (which drove her almost as batty as it did on our honeymoon to the same place, exactly 15 years previously to the day)... Sadly, 73 wasn't running that day. 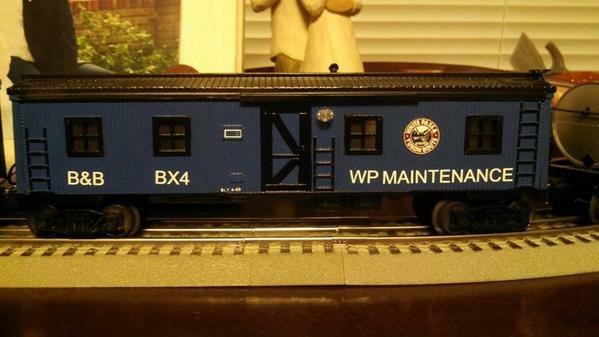 Just an FYI, the easiest way to model a WP&Y steam locomotive in O would be to get a Bachmann On30 ten-wheeler and letter it to represent either #s 10 or 14, which both came to the line in 1943 from the East Tennessee & Western North Carolina RR. 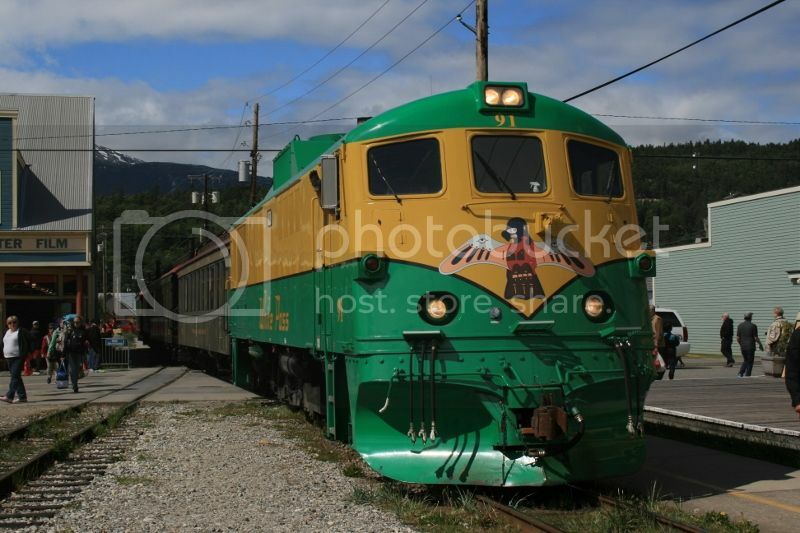 Both ran in ET&WNC green/gold paint and the road names painted over their first season there. Bachmann even makes # 14 in the green paint, so all you'd have to do for a WW2 version would be to paint out the road names and weather it down really well! 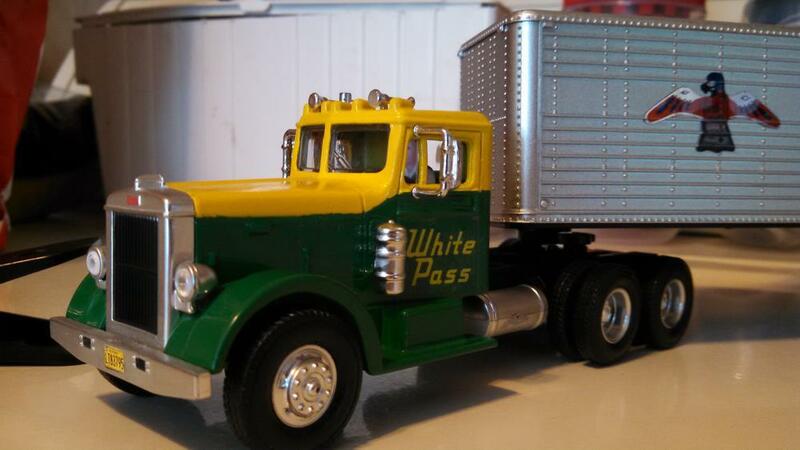 They were sent to the NP shops in Tacoma for a complete rebuild after the first winter, the cabs were pulled back and plows added to the fronts. Both burned in a roundhouse fire at Whitehorse before the end of the war, though. They were shipped back to Seattle then scrapped at the NP yard at Auburn, WA after WW2 was over. More info on WP&Y locomotives can be found by clicking here . I ended up lettering this with the old livery and I changed it to #66. It still needs some work and maybe some day in the future I'll change it to the speed lettering. I chose this more subdued decoration because I feel it fits better with this engine. 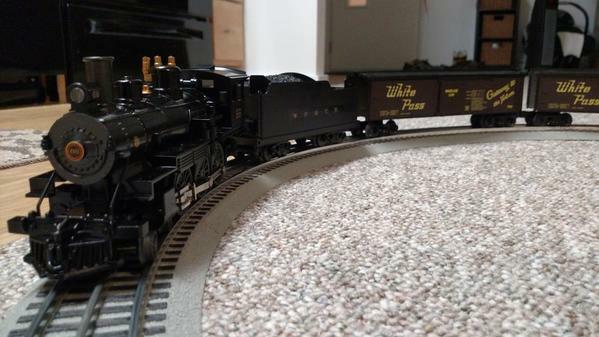 I got a new boiler plate from doityourselfletrering.com and customized the boxcars as well from 742 to 734 and 718 respectively. 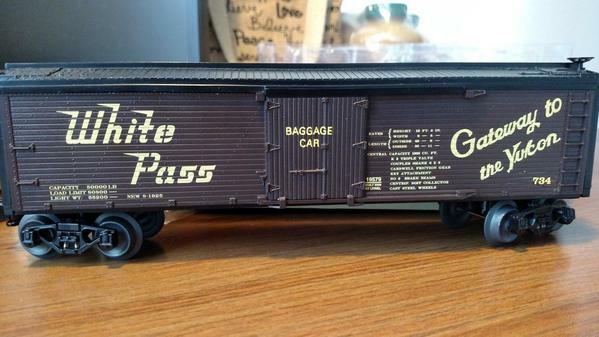 I have an unaltered version of this boxcar as well but it's stuck in storage 2,000 miles away. 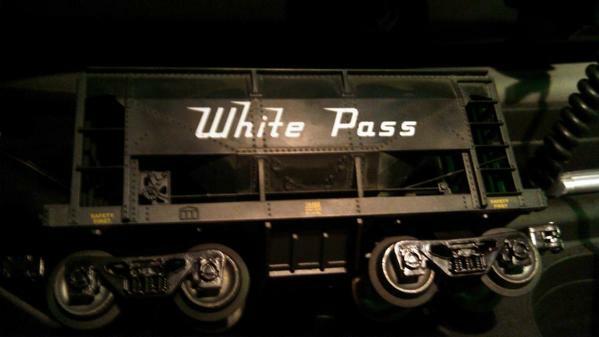 it should also be noted that WP&Y owned 2 locomotives from the ET&WNC (The Railroad where Tweetsie worked), specifically #'s 10 and 14, were actually bought by the White Pass in 1942, but were destroyed in a fire a year later, #12 is the only one of the ET&WNC ten wheelers left. The Dollywood engines are VERY well maintained and still burn coal! THANKS, Dolly! Having been an engineer on a theme park steam loco at Carowinds park on the NC/SC state line......and have ridden the Dollywood train it is almost worth the trip. Not a typical theme park ride....at least the last time I was on it. Our Carowinds trains were not bad but was a simple loop around the park (now ripped out) Dollywood was like a real trip on a train. The Canadian Toy Train Association is having MTH manufacturing a White Pass & Yukon Route 36’ woodsided reefer in their Premier line. This very limited production “O” gauge car comes in two road numbers in 3 rail. Delivery is expected in 2018. Thanks for the heads up! I'm definitely going to order a couple of these! I put in my preorder for two reefers! Now I just need to get the shareholders backing and allocate the funds. I'm constantly looking for a model of a Mikado that would be close to the 73 and just do a repaint. Here's a little closer view of my 66 relettered. I might be redoing the lettering in the future. The original lettering is a little worse for wear. Dollywood is by far my favorite of any theme park train. The locomotives are closest to original, the cars are open so you can take in the sights, sounds, and smells, and the 5+ percent grades make for some impressive railroading. 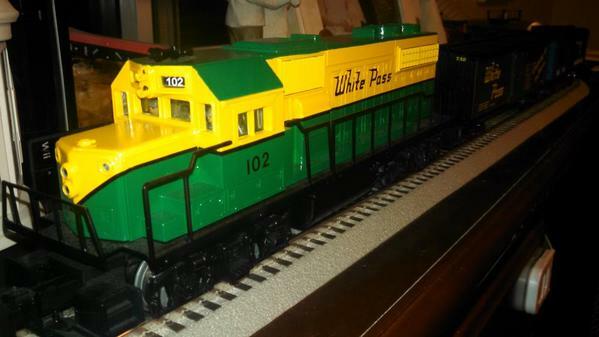 I have been wishing someone would produce the WP Shovel nose engine in either On30 or O gauge/scale. Have a picture on a poster in my room and the other day I was looking at this and a British Diesel that was sitting on a shelf nearby. I thought after looking at the image and model; that it is not to far off perhaps I can modify it for a shovel nose! So I have started cutting and sanding off the side will cut out a new side with the grills on the side and build a winter hatch on the roof and rear cab end. Will need to build up the front and add on a plow. And of course figure out what to use for powered chassis.The front/side windows and lights are fairly close to the WP shovel nose. Will post some updates as I get time to work on this. All ready have some box cars and trailers that I will put on some shorter flats. Need to paint up some other cars as well. Thanks to Tom for the inspiration with your creations top of this post! CDS dry transfer White Pass decals are available from Ozark Miniatures, they say that if you do not see a decal in stock they are able to print it as a water slide decal just ask.